FROM THE COMFORT OF YOUR LIVING ROOM! If a live certification workshop is not available near you, don’t fret! 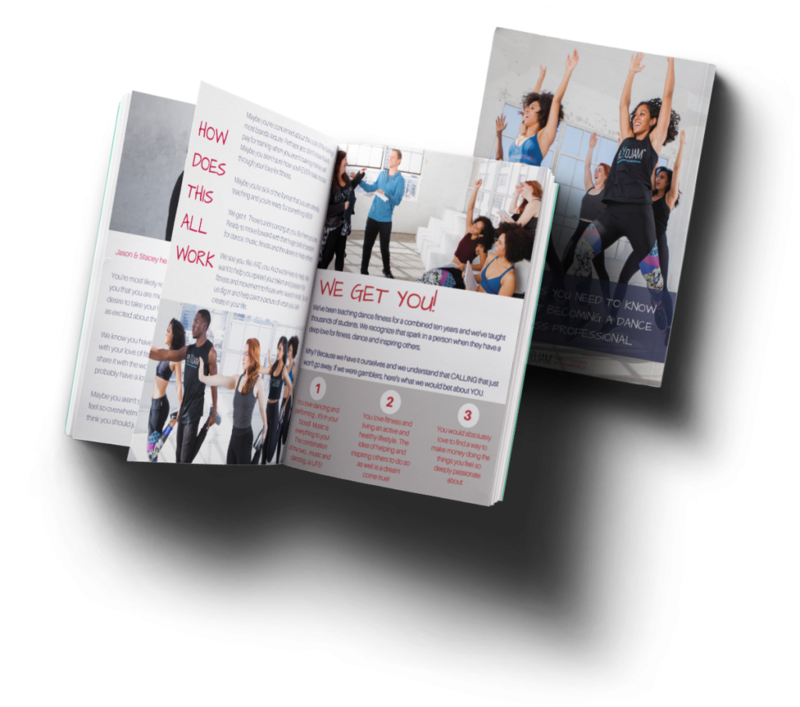 We have built a simple ONLINE dance fitness instructor training program that can be completed from the comfort of home. To complete the Online Certification you must first sign up for the instructor membership to have access to the instructor portal. Inside the instructor portal you will have access to the training video, the instructor manual, all instructor resources, choreography, marketing materials and more! If you are ready to sign up, click BELOW now! Sign up for the instructor membership to have access to the instructor portal. 1. Watch the training videos. 2. Read the instructor manual. 4. Submit your audition video. 5. Schedule your one on one video chat with a PlyoJam team member. Instructor profile featured on PlyoJam website. Hundreds of PlyoJam routines available to instructors. Access to PlyoJam marketing materials to create social media and newsletter content. Access to instructor resources, tips, tricks, and more. 15% off all PlyoJam couture items. Three month check in via video chat. We’ve been teaching dance fitness for a combined ten years and we’ve taught thousands of students. We recognize that spark in a person when they have a deep love for fitness, dance and inspiring others. Why? Because we have it ourselves and we understand that CALLING that just won’t go away. If we were gamblers, here’s what we would bet about YOU. How should the video audition be filmed? How do I send the video audition? When complete, email your video to [email protected]. Because the file might be large, you can use WeTransfer to send the video or upload it to YouTube and send the link. How long do I have to wait after I submit my video audition and quiz? Your quiz results should be sent to you immediately. Your audition video will be reviewed within three business days. If you have not heard from the PlyoJam team within 3 business days of submission, please email [email protected]. How many routines do I need to learn to teach a full class? A typical one hour PlyoJam class includes 14-15 routines, including your warmup and cool down. How do I get the music to teach a class? Because we use the hottest hip hop and top 40 hits, we are unable to provide music to our instructors. However, we highly recommend using Spotify, iTunes or any other music application you may typically use. What happens if I want to cancel my instructor membership? You may cancel your membership at anytime and the NEXT monthly licensing fee will not be charged. However you may not be refunded for a licensing fee that was just charged. Upon membership cancellation, you will lose immediate access to the PlyoJam instructor portal. What happens if I take the training and then decide I don’t want to teach? The training fees are non refundable. However, if you cancel your membership after training, you will not be charged the monthly licensing fee. Where will I work once I’m certified to teach PlyoJam? When you feel confident with the choreography and feel ready to teach, start approaching gyms, studios and rec centers in your area to get a class started! You will likely have to audition or even offer to teach a free demo class! Or you can even rent a studio and teach a class to your friends and family for practice! Reach out via email or just walk in! If you need help with approaching locations, let the PlyoJam team know! We likely have connections or ideas in your area! How much will I make teaching PlyoJam? Payment depends on the facility at which you work. Gyms usually pay a flat rate. Anywhere between $15 to $40 an hour. Boutique fitness studios will typically pay $3 to $6 dollars per head. PlyoJam does NOT take any cut of your pay. The only thing you pay us is your monthly licensing fee! What does the monthly licensing fee cover? The licensing fee grants you not only the ability to use the PlyoJam name, but it also grants you access to our backend support: choreography, marketing materials, tips and tricks for social media, access to the private instructor group on Facebook, and your bio and schedule on the PlyoJam website. Can I choreograph my own routines? 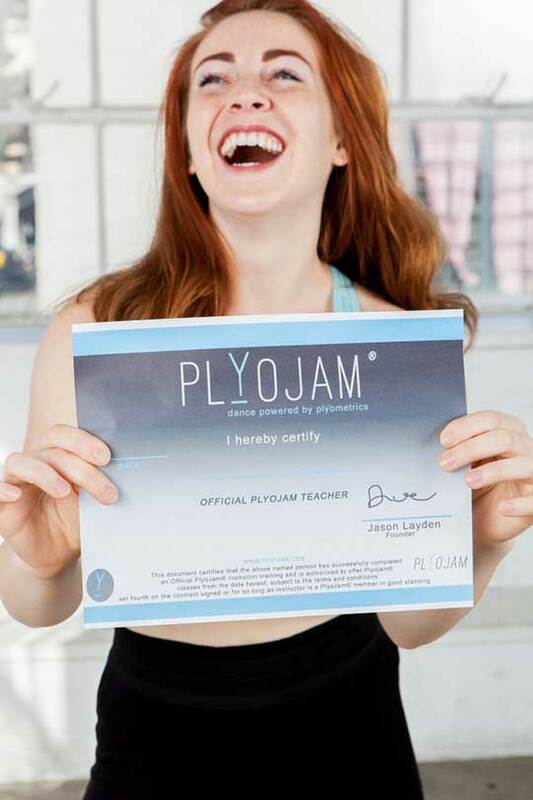 For the first three months that you teach PlyoJam, we require instructors to stick strictly to the PlyoJam choreography found on the website or on the YouTube channel. This is so that you become very familiar with the expected pace, design and expectation of a PlyoJam routine and to ensure adherence to and understanding of the PlyoJam brand. After three months of teaching, you may choreograph your own routines, but routines must be recorded and submitted to the PlyoJam team for approval prior to the routine being taught in a class! We often have choreography contests for cash!